David Grossman has attempted an ambitious high-wire act of a novel, and he’s pulled it off spectacularly. A Horse Walks into a Bar shines a spotlight on the effects of grief, without any hint of sentimentality. The central character is challenging and flawed, but completely compelling. 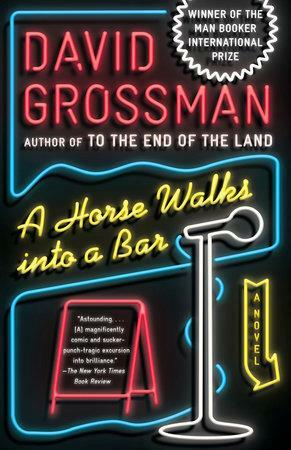 We were bowled over by Grossman’s willingness to take emotional as well as stylistic risks: every sentence counts, every word matters in this supreme example of the writer’s craft. Read the book then bring your thoughts and perspective to a lively discussion.